A team of 12 teenagers have given a Northumberland town’s iconic mascot a much-needed makeover. 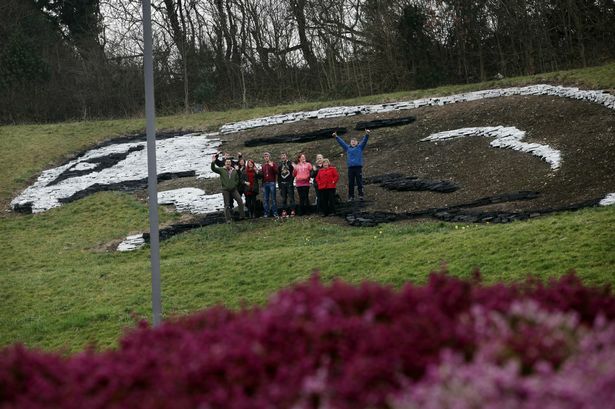 The youngsters spent their entire February half-term holiday sprucing up the Prudhoe Badger public artwork, which sits on a hillside overlooking the A695 bypass, adding the finishing touches last week for its official unveiling. 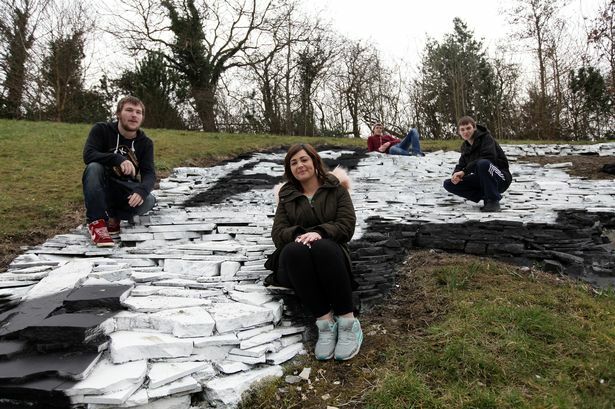 The giant stone and earth creation had suffered over the last two decades from vandalism, theft and the ravages of time and weather, leading the volunteers to offer their help as part of a Prince’s Trust project. To restore the town’s emblem back to its former glory, the volunteers – aged 16 to 22 – rearranged stones to more clearly resemble the badger’s form, while they repainted the head, tail and stripes in bright white. 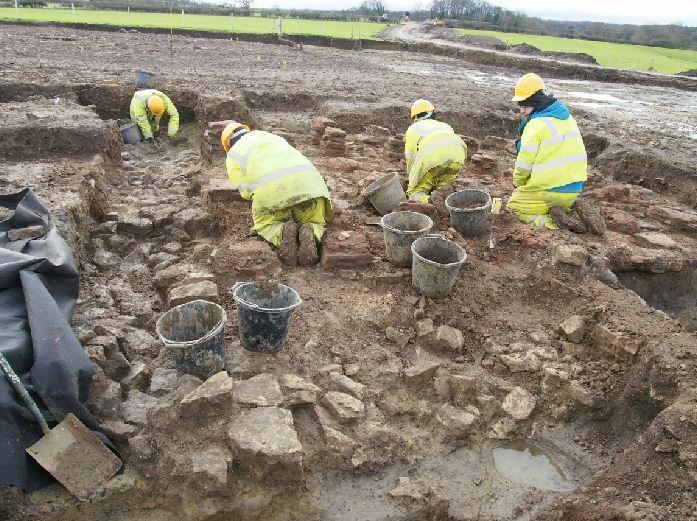 Money for the project was provided by Prudhoe Town Council, Barclays, Mid Tyne Lions Club and several local businesses, alongside The Prince’s Trust – a charity which aims to get young people into work by giving them new skills and confidence. Councillor Tony Reid, who represents South Prudhoe for Northumberland County Council, first commissioned the £15,000 30m-long Prudhoe Badger in the early 1990s on behalf of Northumberland County Council, shortly after the A695 bypass was built. “I had asked a number of artists to come up with ideas for the hillside and I went with the badger by Gary Power. It was controversial as public art always is, but created a conversation and I liked that. Since then it has been accepted by locals and the town has taken it to heart. “But the problem is maintenance due to wear and tear, which I have taken responsibility for but over the last couple of years it had begun to look really shabby. It needed some investment. “I was having no success getting money from the council but then was contacted by the Prince’s Trust, in conjunction with local young people, who had the idea of improving it. “As part of their 12 week programme, the young people have to complete a community project and they all decided to renovate the badger as something that could use a makeover. A pub landlord says an image that has appeared on the pub walls is that of the Devil. Regulars at The Three Crowns, in Sun Street, Darlington, have been hellbent on taking pictures of the strange image and telling their friends about it ever since it appeared earlier this year. “This has been a pub since 1885 and I have been coming in here for 50 years and nobody has ever seen anything like it before. 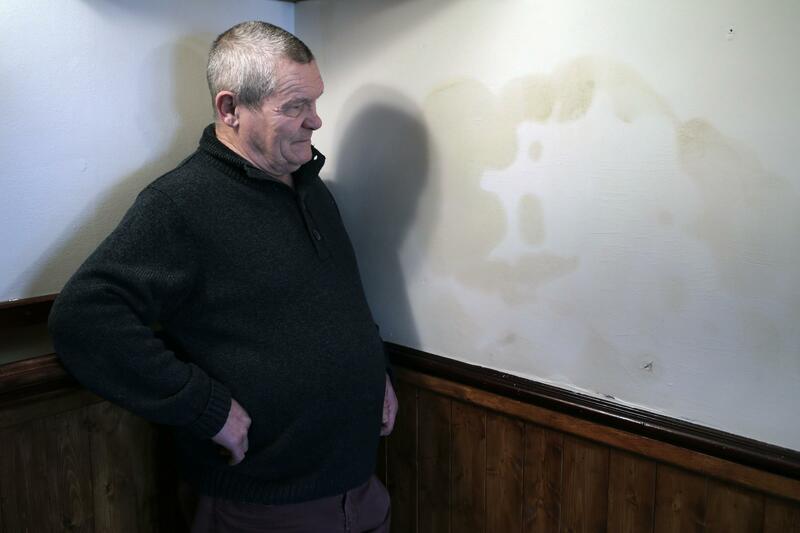 The image, which is thought to have been caused by damp, appeared on a wall near the toilets and overlooks the pub pool table and dart board. Mr Jenkinson was a taxi driver for 40 years before retiring in 2012 and now helps wife Michelle run the old-style street corner boozer, which is more usually famed for its rabbit pie tucked into by drinkers on lunchtimes. He said: “I’m not reading anything into it. It is just weird. Damp doesn’t usually come up that high.